Let me introduce you to my new favorite find, clear frames. 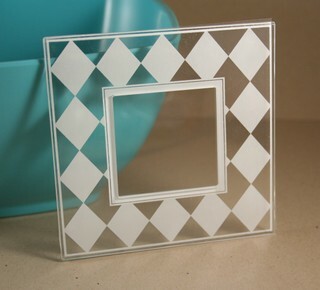 They are small, clear acrylic frames that are self adhesive. They measure 3.25 inches square, with an opening of 1.75-inches. 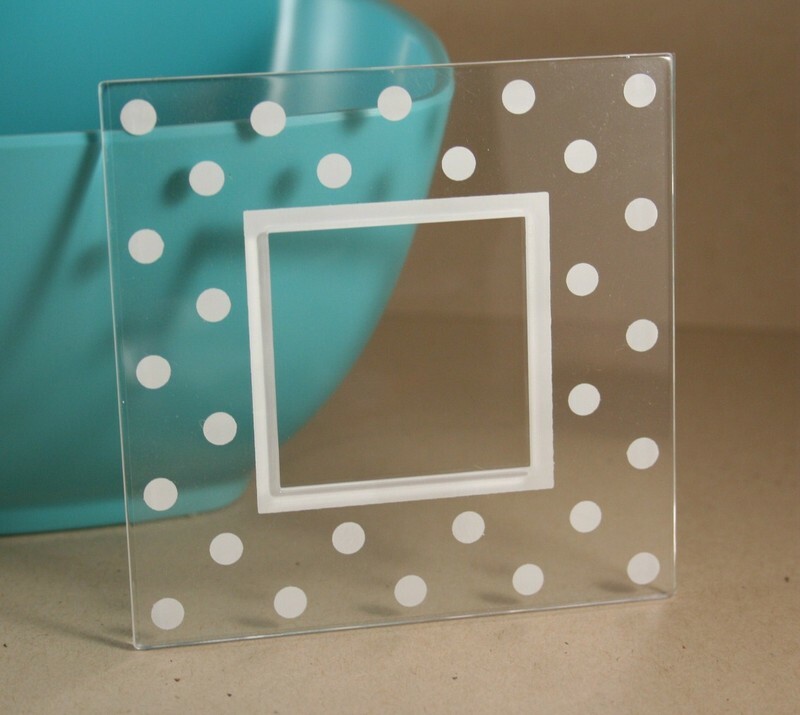 The acrylic that these frames are made out of is a sturdy 1/16th-inch thick, making them perfect solutions for gift & home decor projects that will hold up to wear and tear. We will be carrying them as of tonight, retailing for $2 each! I have been playing with them ALL day today, and I have come up with so many uses! I will share just a few to start the evening off. The first thing I decided to create was a Christmas ornament. I just love finding ways to personalize my tree. 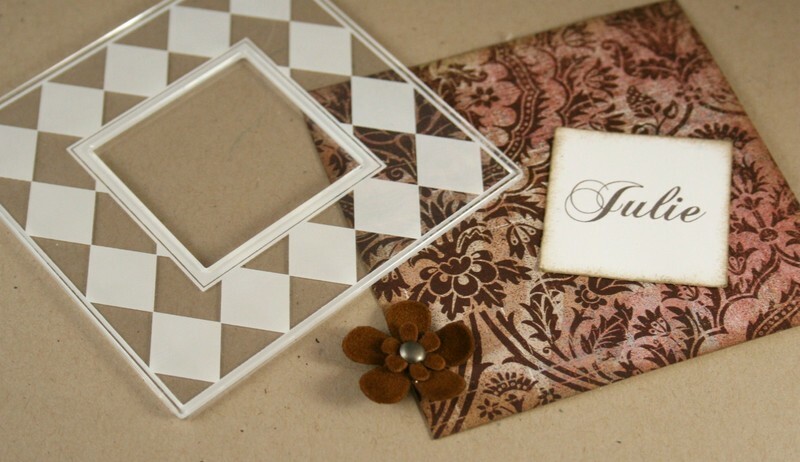 They could also be used as small gifts family, friends or teachers! All you need is a 3.25-inch square of designer paper (I am using a scrap leftover from my Snowman Soup Tin), a photo cropped down to 1.75 inches and a piece of ribbon. 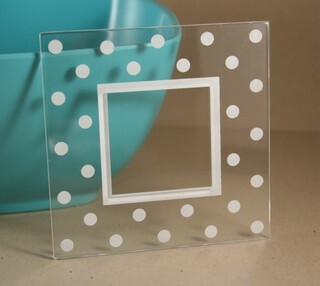 Just peel the backing from the frame to expose the adhesive and lay it over your photo. Next, attach your background paper. 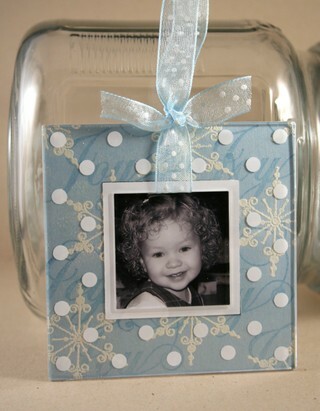 Cut a slit right at the top of the photo and insert your ribbon. 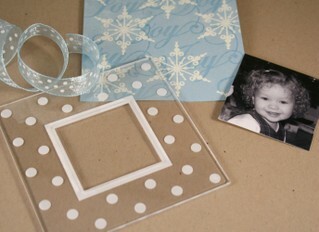 Create a loop and then use an additional piece of ribbon to create a bow. 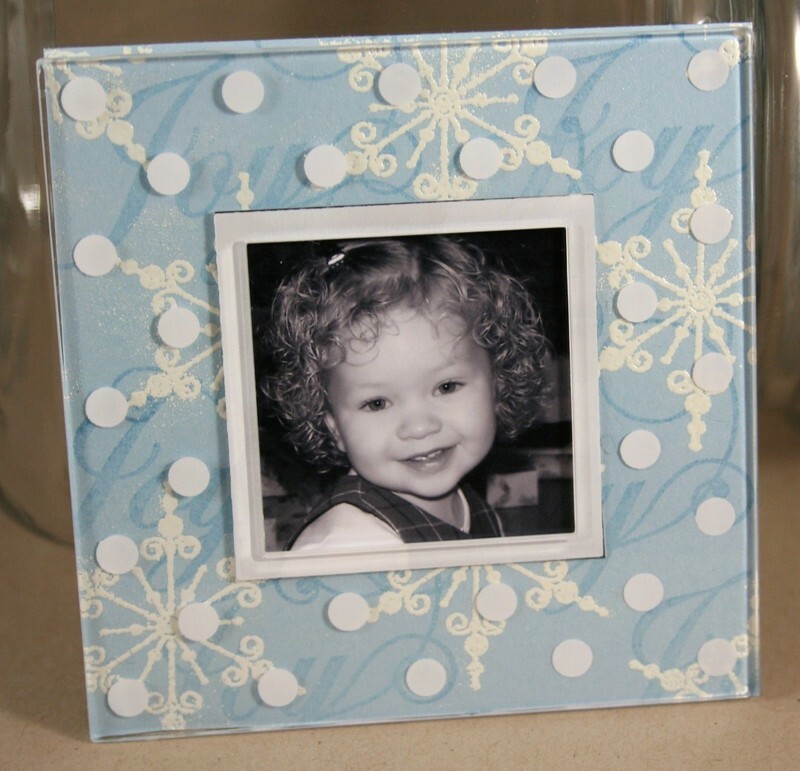 There are so many ways that you could personalize these ornaments to suit your decor! You could add charms that represent the person’s interests even! Next, I thought these would make the most incredible place cards for Thanksgiving! 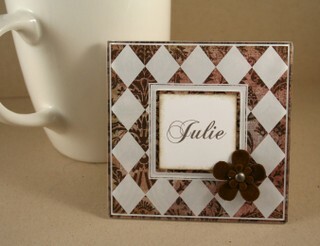 I used some Basic Grey paper (Brocade from Urban Couture Collection), the name of the guest (printed from the computer) and some Velvet Blossoms (Air Collection). Instead of attaching the name first (like I did with the photo in the ornament project) I just attached the paper. The name is punched out with a 1-3/8 inch square punch and then adhered on top of the paper in the frame opening. To create a stand for the placecard, I just punched out a Giga Scalloped rectangle from sturdy cardstock and scored it two scallops from the edge. I applied some double stick tape to the tab that was created. I then stuck the stand to the back of the frame. 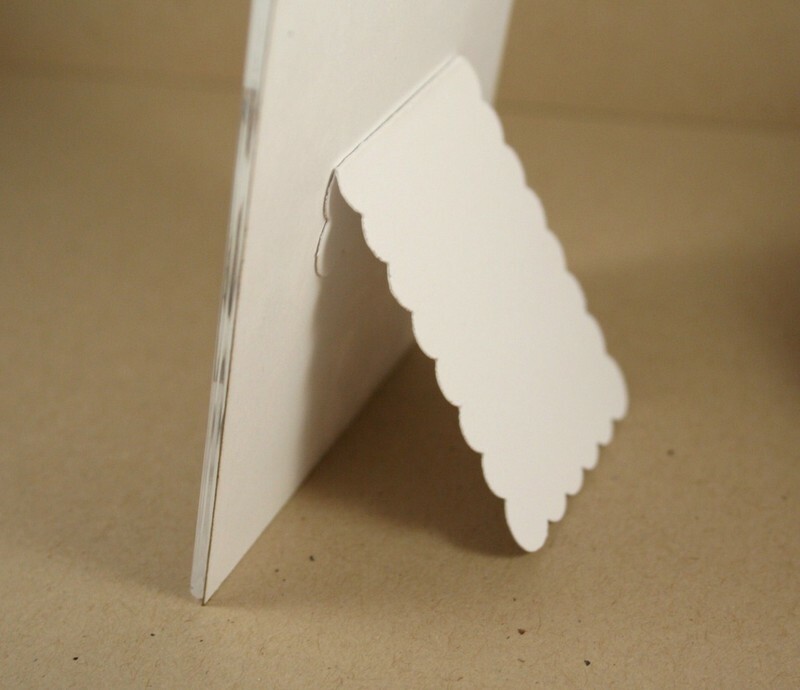 If your stand keeps flattening out, you can adhere a piece of ribbon from the inside of the stand to the back of the frame that will prevent it from sliding open. And here is the finished product! I am going to take snapshots once we get everyone seated on Thanksgiving Day and when everyone is preparing to leave, I will make small copies of the prints and insert them in the frames (adhered on top of the name squares) as a little keepsake for them to take home. I have a few more projects up my sleeve, so be sure to check in later! Can it be midnight soon? These are a must have! I want to do these for Thanksgiving now! Wow Nichole! You never cease to amaze! You always find the neatest things. You’re so inspiring! Way to go (again), Nichole! ohmygosh!!!! those are over-the-top gorgeous!!! Love it! I just love all of these fabulous simple ideas ! Every time I go into my craft room, I can’t imagine that I need anything else (or how or when I’ll use what I have!!). Then I come to your blog and see that I ‘need’ EVERYTHING! Can’t wait til midnight! What a great idea. I love the little ornaments! 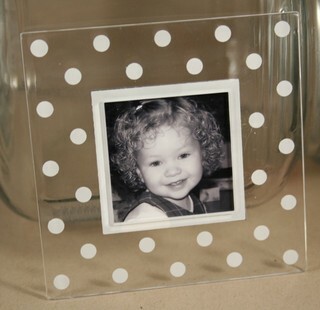 They would make such quick and easy gifts for grandparents. You inspire me so! I’ve just recently discovered your website and can’t seem to stay away. I find myself coming back every day to see your next design. Keep up the gorgeous work! Those frames seems awesome! You sure know how to use them! OMG!! How beautiful are these?!!! You so ROCK!! I can’t believe all the wonderful things you create. Now I’ll HAVE TO BE HERE tonight!! I wonder what the Crop-a-dile would do to the acrylic frame? How cute! 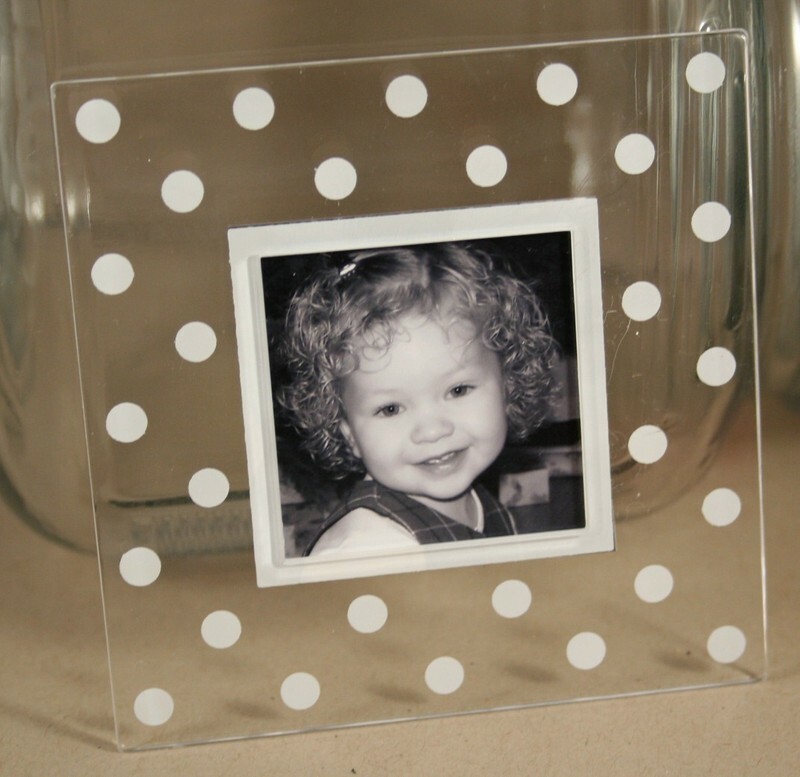 I’ve done the 5×7 glass clip frames with projects, but these little guys are adorable! Ooooh, can’t wait much more!! You are amazing!!!!! It is almost like popcorn is exploding but you are creating one unique project after another. Thank you so much for sharing with us and allowing our creativity to develop more and more. Good luck with the new release. Every month keeps building with anticipation and excitement!!!!! I love your ideas . you could save your spice bottles that open on both sides for your embossing powders too. Nichole- I want to be you when I grow up!! Where can. Find these frames? 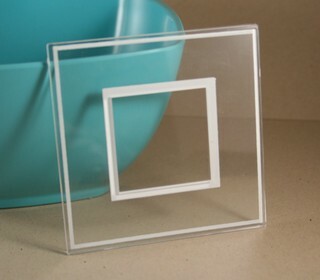 Hello, do you have the mini acrylic frames for sell? Went to your store but could not find them? ?